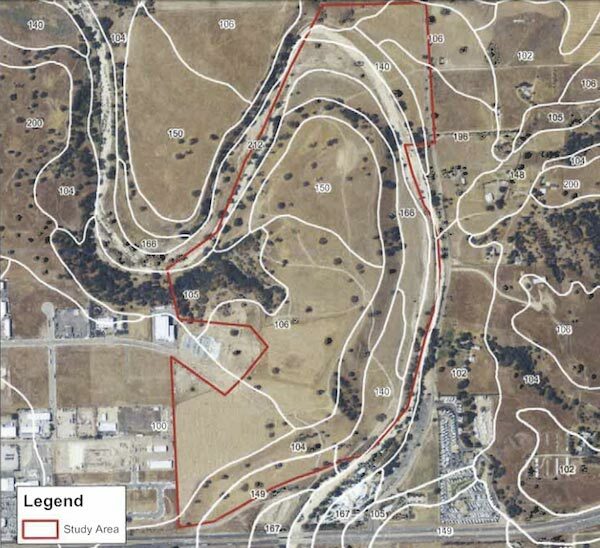 –At its most recent meeting, the Paso Robles Planning Commission approved a 212-acre development of property in east Paso Robles, at the eastern end of Wisteria Lane, north of Highway 46 East. The application was filed by Kirk Consulting on behalf of Tom Erskine and Ranch and Coast Properties, Inc. They plan to subdivide three existing parcels, totaling 212 acres into 13 lots that total 77.3 acres, and one 134.7 acre remainder lot. The project includes business park with plans to include a road with a direct link to the airport. The property is jointly owned by Tom Erskine and Ranch and Coast Properties, Inc. with the largest parcel share, Roll Real Estate Development, LLC, a Wonderful Company subsidiary which runs Justin Vineyards, owns 23 acres. 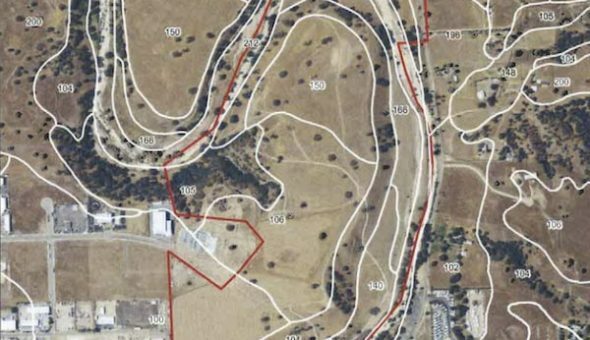 The applicants were also approved on a request to rezone the land from parks and open space and residential agriculture, to commercial light industrial and planned industrial. They also requested the removal of one oak tree.